Demonstration against RCD ministers, January 19. Photo by Nasser Nouri. Tunisia's President Zine al-Abidine Ben Ali has stepped down after 23 years in power, amid widespread protests on the streets of the capital Tunis. In a televised address, Prime Minister Mohammed Ghannouchi said he would be taking over from the president. 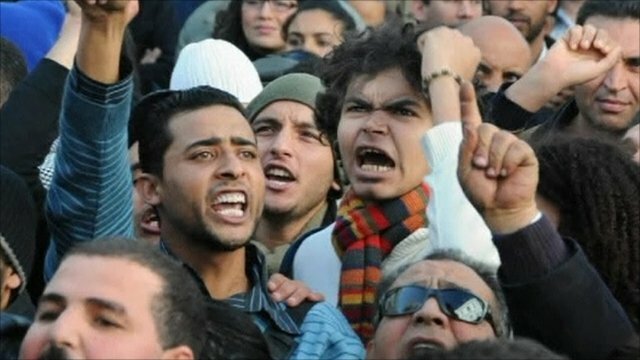 A state of emergency was declared earlier, as weeks of protests over economic issues snowballed into rallies against Mr Ben Ali's rule. Unconfirmed reports say Mr Ben Ali and his family have left Tunisia. The reports suggest that the deposed president is looking for a place of asylum, with French media saying that French President Nicolas Sarkozy has turned down a request for his plane to land in France. The articles below explain some of the background to the uprising. 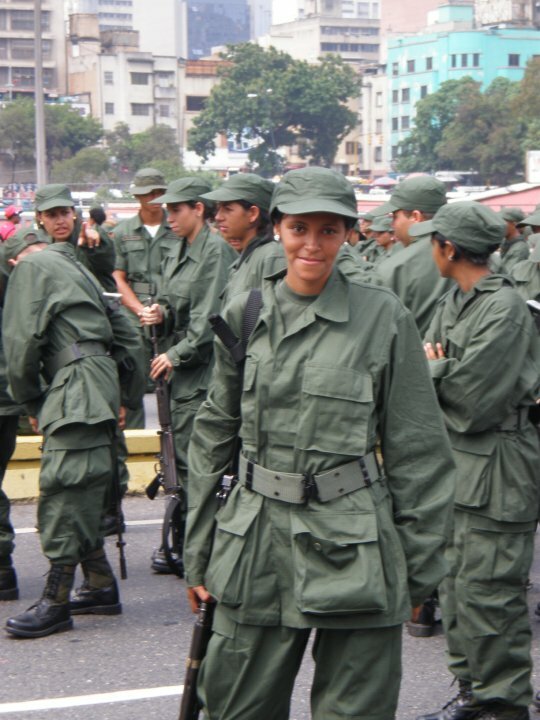 Venezuelan students organised in the Bolivarian militia. April 22, 2010 -- The Future on Fire -- A common chant around the world when people take to the streets against the crimes of the global capitalist system is: "This is what democracy looks like!" It is a statement that real democracy is on the streets, in the united action of ordinary people. It is a statement that democracy is more than passive voting once every few years, it is popular power and direct participation. March 17, 2010 -- In Defence of Marxism -- The call issued by President Chavez to set up a new revolutionary international, the Fifth International, has provoked a passionate discussion in the ranks of the workers’ movement in Latin America and on a world scale. It is impossible for Marxists to remain indifferent to this question. What attitude should we take towards it? (Updated May 3) Ireland & Britain: Car workers occupy plants over jobs -- Support Visteon workers! May 3, 2009 -- Workers at Visteon, following a four-week battle, have gained a victory. After the occupation of the Visteon plants and 24-hour picketing when the company announced its liquidation, Ford/Visteon bosses were finally forced to concede to the workers' demands. Workers in Enfield and Basildon have already voted in favour of the deal, while those at Belfast will be voting soon. Below are reports and videos that recount events as they unfolded.